With the books reaching the dock today, I wanted to elaborate a bit on the process and background of the project to provide additional clarity. 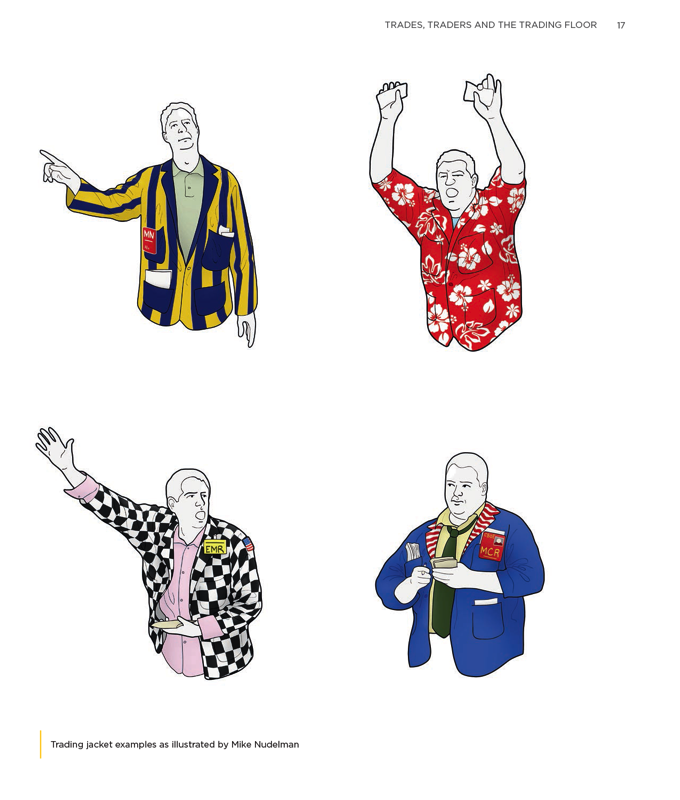 The book is certainly a best effort on behalf of not just myself but the photographer, designer, proofreader, illustrator and printer. Even for someone with zero interest in the topic, we feel the quality clearly shines through that it is a beautiful book which was created with significant thought and care. As my first book, there are a couple minor rookie oversights but the strengths far outweigh any weaknesses. It was difficult to create because the subject matter was generally previously unrecorded, highly fragmented, at times contradicting and excepting my own personal experience, parts relied upon other's often faulty memories. I’ve dug deep with unmatched compulsion into the history of trading pit hand signals and approached it seriously to now present an accurate historical record. 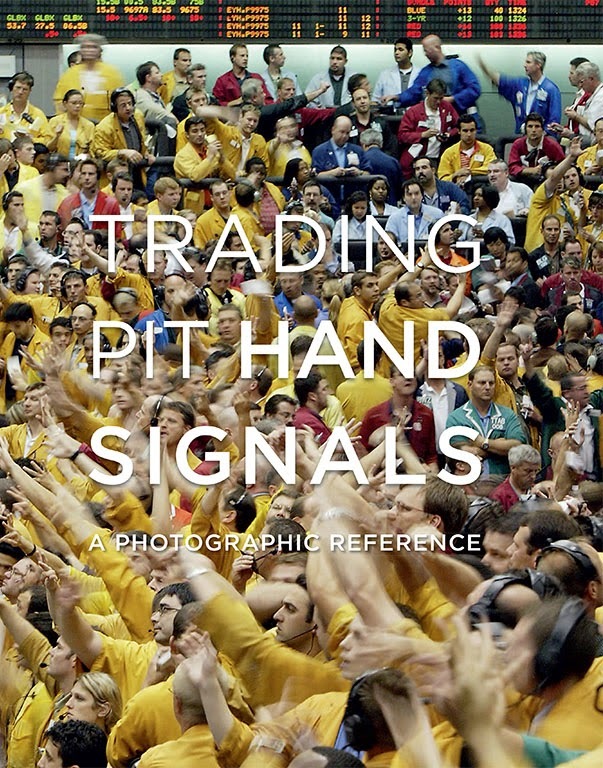 The end result in this book is an engaging gallery of over 400+ unique hand signals used across eight primary exchanges, both foreign and domestic, along with a couple chapters describing the history and trading floor functions. We didn’t bother to approach any publishers with it to maintain complete creative control over the entire process so our vision was realized without diluting it. For this niche product, we were able to add expensive enhancements like utilizing the high quality printer we wanted, pay $2000 to license a single photo and less for others from Getty Images, etc…. by completely underwriting it myself as it would’ve been uneconomic for a publisher to do the same. I consume a lot of books myself and realize that the true cost of a book isn’t the price but rather the time it takes to read it. The worst part in putting this book together was that it kept me from reading other books so I tried to be as mindful whenever possible for the potential reader by keeping the writing efficient and concentrated. One weakness in retrospect is that I didn’t provide many citations but a quick internet search or look back at the blog will be sufficient in providing any further details. Something I’ve noticed in reading many book is that there is often an unstated/hidden agenda, predominantly that authors like their story to be the story, accurate or not, and for this book I did my best to not just make it accurate but also account for multiple perspectives. The majority of trading pit history has been put forth and paid for by the exchanges which has resulted to reflect only positive aspects while neglecting the entire story, so it’s a fresh approach to present this independent viewpoint. 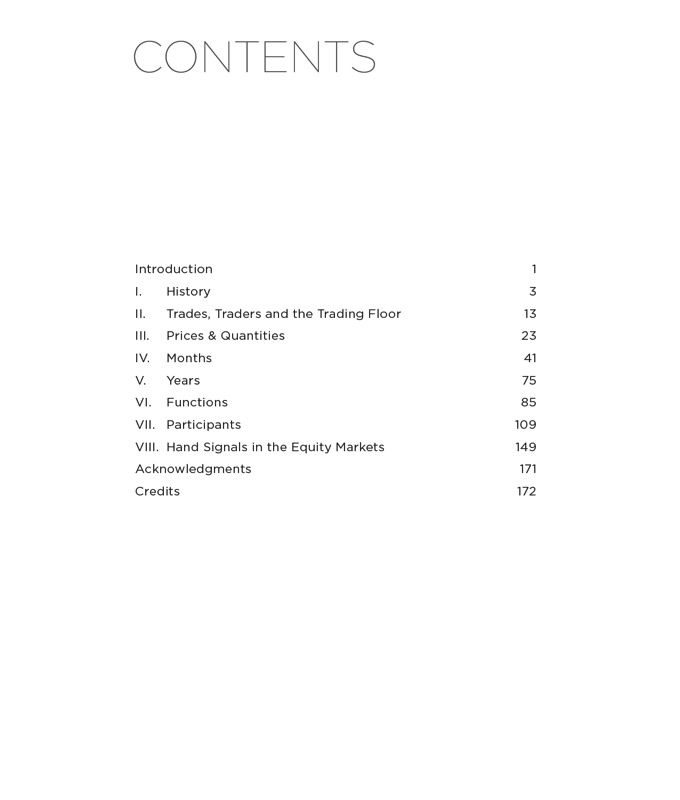 In my collection of virtually every book regarding the history and function of the trading floors or exchanges, a frequent thing that’s always bugged me is most authors’ agenda (usually as a broker) is to ultimately sell a service or accumulate assets to trade/manage. I don’t want anything from anyone, trade independently anyways and present the book simply to those who share the captivating interest of trading pit history. Having tackled this subject on the internet with historical writings on the blog along with operating the advertisement free website gallery for over 5 years reflects my pure interests. If anyone disagrees with the presentation then I’m happy to be emailed with where they think I’m wrong and I’ll be happy to cite my reasoning and further sources. That said, I’ve had people try and tell me something is wrong when I and many of my friends personally utilized the same signals called into question. My skin is thick like a rhino hide so nothing is taken personal, but I hope if someone is calling me out that they present a strong argument. Ex-floor guy: Rattles off the one or two most obvious signals I’ve long had and then can’t remember any more. Ryan: “OK thanks but if you remember anymore definitely send word.” Never get a followup…. Besides additional signals, some further thought needs to be given on unknown origins of signals within the book. 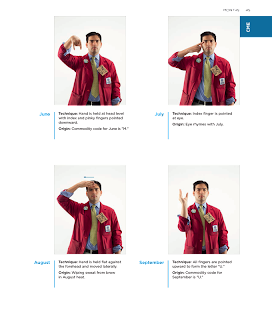 For instance, I believe the NYMEX month signals were based upon ASL to a certain extent but not enough to change their origin status from unknown in the book on this run. I’ve thought long and hard why so few who worked on the floor share the same historical interest and have come to realize that hand signals were nothing more than a process which was required to use as part of the job. To be honest, most of those on the floor wouldn’t differentiate between trading futures or selling plumbing supplies if they could have made the same amount of income. The funny thing is that it probably cost me a fair bit as my mind would drift on finding the hand signals interesting or psychologically profile others on the floor instead of staying fully focused on the next trade. The other caveat is if the book is a potential gift, it might not be as well received as imagined because so many ex-floor workers are jaded to the point they might speak higher of their ex-wife than they would of the floor/trading industry. Part of it is many moved on from the industry, but I heard the best description mentioned by a friend who described his encounters with ex-floor workers and said “when they talk about stories of working on the floor, it's as if life was in color and now that the floor is gone it’s like life is black and white for them.” I’m just being honest folks and often get the same impression when interacting with others. A big benefit of self-publishing is not being required to have to sell or market the book, particularly because dealing w/the media (which I’ve never, ever solicited) is often a waste of time. My thinking is that if people are interested then it’s easy to find and ultimately books are meant to be bought over long periods of time anyways. For instance the book I’m currently reading was published in 1991 and it’s as fresh as ever. 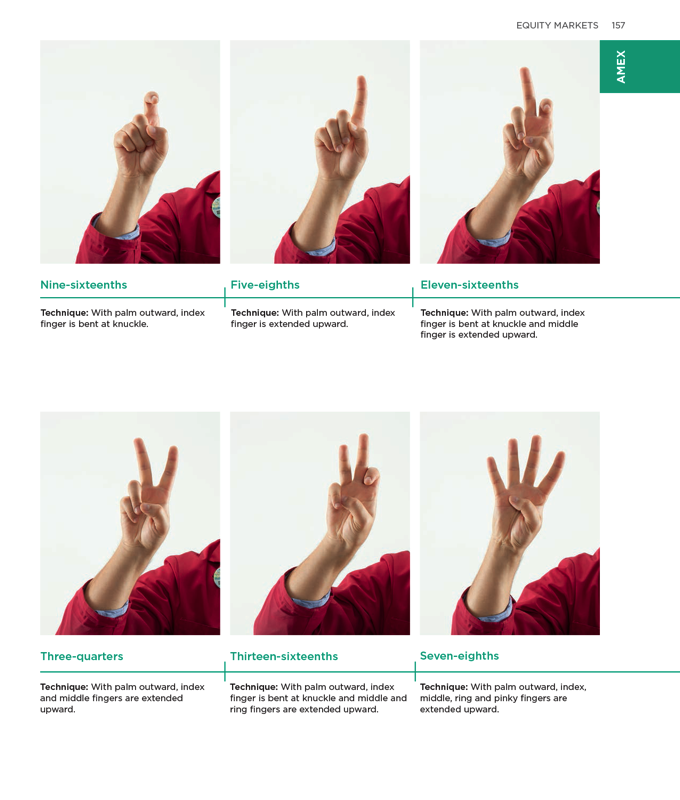 Long after I’m gone, Trading Pit Hand Signals will be in the Library of Congress for reference and it’s pretty cool to think that someone 50+ years from now could find it useful and interesting. The company which handled the printing is going to handle distribution and as of now, we won’t be listing it on Amazon. I definitely buy a lot of books off of Amazon but the breakdown of getting any return isn’t worth putting this book up there, especially since it’s already priced below cost! It’s not so much a money thing but the principle of how they operate which really destroys margins for a specialty book to not make it worthwhile. In conclusion, presenting the book also serves as a bit of closure for the entire project. 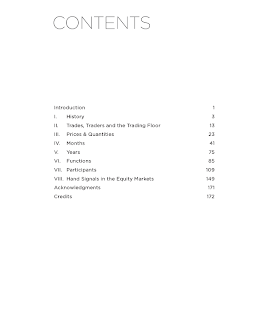 Over the last 5 years, I’ve written and found most of what is out there on trading pit history. Some history I’ve held back from publicizing for various reasons, mostly because it’s not worth the trouble and hassle that would ensue of bringing it to the surface again. My interest in capturing further history remains high and will continue but I’m not going to blog about posting minor secondary information as much going forward. The distributor’s shopping cart for the book should be working within a handful of days and if you choose to order it ($30 + $4 shipping in US), I hope you enjoy it! If anyone doesn’t enjoy it then…..I can admit myself that I won’t be giving up trading to become a writer anytime soon. Next post will be a link to the cart once it’s live….